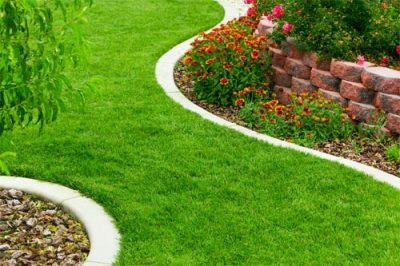 The new concrete landscape curbing on your lawn enhances your property’s value and adds a decorative touch that increases the curb appeal. Now you want to do everything you can to preserve the gorgeous appearance of your new landscaping feature. While concrete is designed to be durable, it is susceptible to wear and tear that leads to cracking and discoloration. 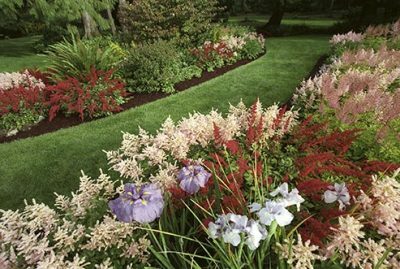 Once your new landscape curbing is installed, use these tips to keep it in top condition for years to come. Concrete undergoes a slow curing process that requires special care for it to reach its full strength. At the time of installation, you should be provided with instructions regarding how to care for the concrete through each stage of the process. Typically, concrete must be protected from water for the first several hours after it is poured. Although it is best to avoid pouring concrete on a day that rain is expected, plastic may be placed over it in case of a surprise downpour. You will also need to make sure that your sprinkler system is turned off for24 hours after pouring. While the first 24 hours are critical for the curing process, the concrete will continue to cure over the next 30 days. Until it is fully cured, you must continue to avoid hitting it with any objects. Warn children to stay away from it, and use precautions such as fencing to keep animals off of it as well. As concrete cures, it is normal to notice some slight discolorations. You may see splotchy areas over the first several weeks as the different areas of the concrete cure at different rates. This should not affect the color, and you should abstain from trying to clean the splotches since this can disrupt the curing process. The concrete used to make the curbing is capable of withstanding a certain amount of weight. For instance, you should be able to run your lawn mower up against it without worrying about cracking. However, you should avoid undue amounts of pressure. During other types of landscaping procedures, use caution to avoid placing the full weight of heavy equipment on the curbing. For instance, you can build a ramp to support a wheelbarrow if you need to move it over the curbing. You should also make sure that anyone working on your property knows to never drive over the curbing with a vehicle. If necessary, set up reminders such as flags to help people in oversized vehicles notice the curbs so that they can choose an alternate route. Weed control is one of the many benefits provided by concrete curbing. 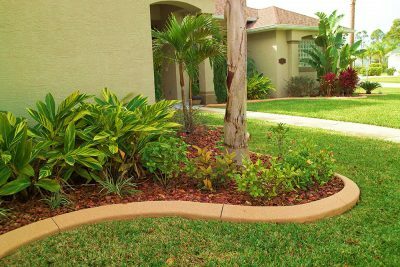 While the new landscape curbs control weeds by preventing the roots from spreading, you should be cautious about the roots of larger trees that can break through the concrete. Try to plant new trees far enough away from the curbs that roots won’t reach them. When the concrete curing process is complete, you can clean the curbing as needed. 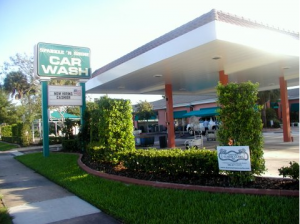 Most of the time, you can simply hose off common debris such as bird droppings or leaves. If the curbing does require deeper cleaning, you can use a stiff brush and cleaning solution to scrub away any stains such as mold and mildew. At Daytona Classic Curbs, Inc., we stand behind our work by offering a two-year warranty on landscape curbing installations, and we love sharing our maintenance tips. Give us a call today to get started on transforming your property with decorative concrete accents.